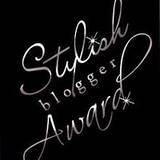 Stylish Blogger Award is both an honour from a fellow blogger and a way of networking with other bloggers. Thank you so much to Kat from Books, Crafts & Pretty Things for including me in her award recipients. Be sure to check out her blog -- she has some lovely photographs. Here is a little explanation of the tasks you need to do should you choose to accept the award. I'm currently snowed in and flailing about trying to find a sub to take my classes tomorrow in town. I usually love being snowed in, but today it's a drag. My dissertation was on witches in Renaissance literature -- specifically drama. When people come into my house and see the titles of some of my books -- they get a little pale until I explain. I was a high school drop out at 16. I did in fairly short order go right on to college and graduate school, by way of a year at a CC, but I still like to call myself a high school drop out. I rarely make my bed. My mother used to always get on me about this, so maybe that's why I'm so resistant. Whatever the reason -- I justify it all sorts of ways... my bedroom's upstairs, so nobody every goes up there; it's a good thing to air out a bed; my cats prefer it that way..... but, it probably all boils down to general laziness and stubbornness. 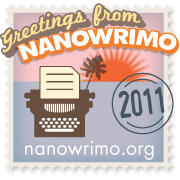 Here are some of my recently discovered great bloggers. I am so grateful for the award. But I must decline. Thanks for thinking of me. I will still put a link to your blog on my site for selecting me for this award. Thank you for tge award! !